The following is a true account of recent events. Initials are used instead of names, to respect the privacy of those involved. S had been living with her service dog in her SUV for 8 months, in an effort to save money and pay off the loans that had allowed her to travel several states away, to spend time with her grandchildren. She used the resources in her Taos area effectively, staying at camp grounds, bathing every few days at the homes of friends, and using a small propane heater, arctic rated sleeping bag, and propane camp stove to manage her meals and sleep. As autumn approached she became concerned to find something more secure against high mountain winter cold. At the grocery store a few weeks later, S and her dog noticed an older woman, also with a dog, who was struggling to load groceries in her truck. Despite a bad back and lifting limits, S followed her dog to the truck. While the canines made friends, the two women loaded groceries and started to talk. S had been seeking a place where she could safely park the Winnebago long term. She was already occupying it, but the tow had deposited it in a temporary location. The older woman, L – a former army nurse who served in Vietnam – offered a parking site and subsequently offered occupancy of a comfortable home on the same properly. S and L became friends, as well as tenant and landlord. S expressed the feeling that she’d found not one but three fairy godmothers, and felt incredibly blessed. Have you noticed that, often, it is the people who have the least who are the most open-hearted and open handed with that least – which somehow seems always to be not just enough but to multiply like the loaves and fishes? I am so grateful that my work engages me almost daily with this sort of sharing, caring, generosity and warm-heartedness. Peace and joy to all in this reflective season. Saturday mornings are the only day in the week that I can be a bit lazy, get up an hour or more later, and not have to rush into preparation for activities. I’ve begun to guard this quiet A.M. time carefully, assuring myself of a few hours with no “have to” obligations. I’m learning that without at least some part of each week available as unscheduled “down time” I get out of balance. My week used to include two hour Interstate drives and that time served me well for mental rest, but now my 250 or so miles per week of driving is over mountain roads and between client visits, with a cell phone that often rings with work demands. It definitely does not support a meditative state. I do see lovely scenery. Just Wednesday, coming back from Taos, I came around a bend and was presented with three small frozen waterfalls glimmering in the darkness of early evening. The moon was up and reflecting off the rippling ice curtains, reminding me vividly of stalactite formations I first saw in Lurray Caverns when I was eight years old. Trekking through Carlsbad Caverns many years later, knowing that what was on public display is only a tiny part of the glories existing there, I reflected on how much that is wondrous we live in ignorance of. “You’ve only scratched the surface” is a phrase one of my teachers used often, in a survey course of world literature. He meant us to be challenged to read more widely than even the syllabus demanded. Archeologists genuinely do get to dig ever deeper, quite literally, into their subject matter. 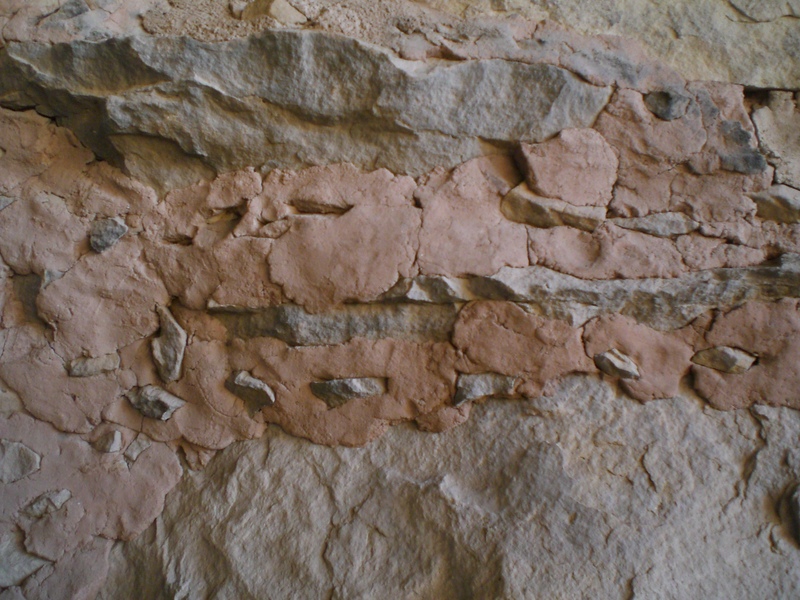 My acres, when I lived in Galisteo NM, were littered with pot shards and arrow head flakes. Digging out a pit for a septic tank, I came across layers of ancient litter, several different styles of painting on pottery and even one hand coiled pot, still intact. What might I have found if I’d been able to go down twenty feet, instead of only ten? I’ve been complimented on the breadth of my knowledge – “Is there anything you don’t know something about?” I feel like a dilettante, knowing a little about many subjects, but without much depth in most of them. I greatly admire people whose careers enable them to master much, if not most, of a field – for example, musicians who know the work of centuries of obscure as well as famous composers, or the full range of indigenous songs in multiple cultures. A mystery series I’m reading now (the Dr. Ruth Galloway novels by Elly Griffiths) feature a forensic anthropologist who knows everything there is to know about the dating of bones. Ruth admits to being narrowly focused, and to finding it a drawback not to have depth of knowledge outside her field. She admires people who are at ease at parties, able to make small talk because they know, as I seemingly do, a little about many different topics. So why, then, am I just like Ruth and not at all comfortable at parties? I’ve always preferred conversation in small groups, like over dinner with a few friends. When I get to a larger gathering, I become tongue-tied, stand on the side lines and mostly just watch, quickly becoming bored. I want to connect meaningfully with other attendees, but seem unable to find the way to do so. Oh, you’re telling me the problem is that I want some meaning from connections at an event where people are focused on the superficial. They come to cocktail parties to see and be seen, not to talk philosophy. I should lighten up, learn to relax and just float along at these events. Maybe that’s what’s needed, but no can do. I’ve had friends who readily find solitude living in crowded cities. “It’s easy to be anonymous” in the heart of Boston, they tell me. I, on the other hand, feel invaded, overwhelmed and lost in busy and noisy environments. To find solitude, I need silence. That has translated to needing a great deal more income to sustain me, living in a city. 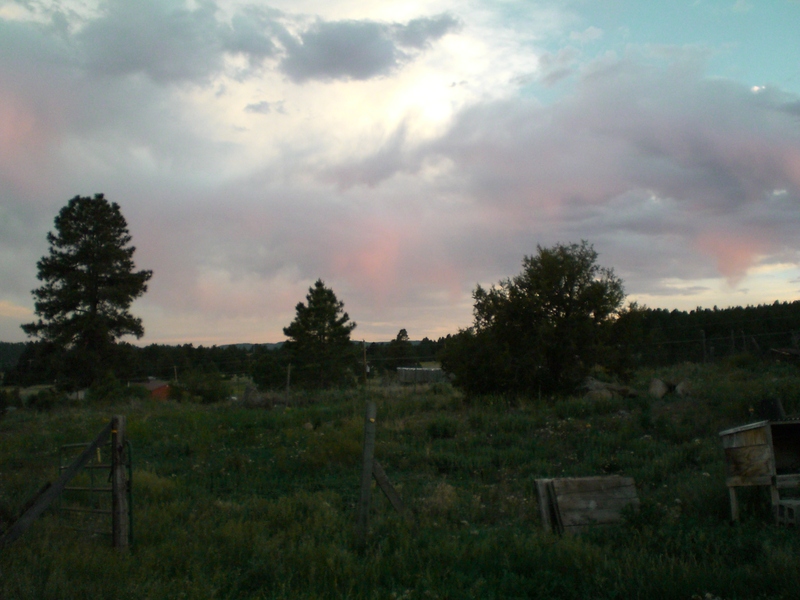 I can be poorer living where I do now, in rural northern New Mexico. Money can buy thick walls and enough surrounding land to provide me some sense of peace in an urban space. In sparsely populated areas, I am at ease in a small space, even a thinly-walled one. 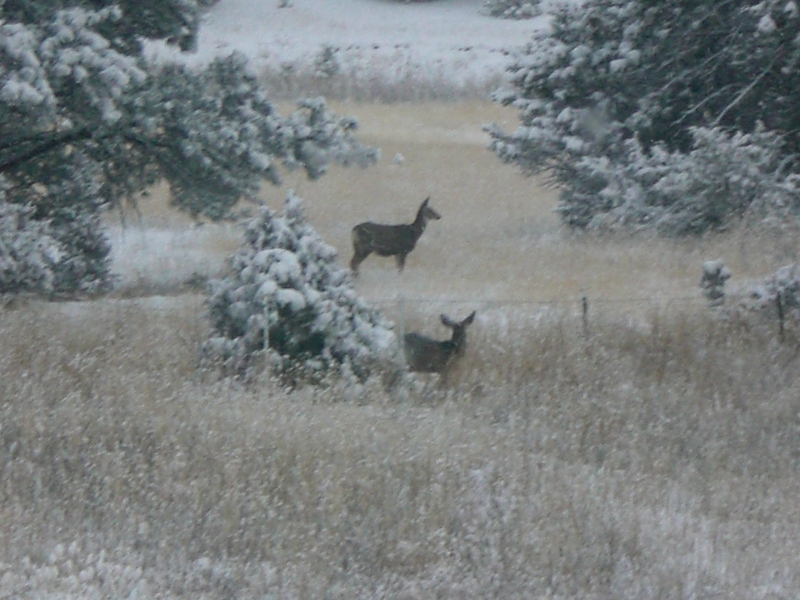 Looking up from my writing just now, I see nine deer crossing my pasture, evergreen trees waving in a strong breeze, the sun reflecting brightly off a few remaining patches of snow. A scene of energetic tranquility, perfectly suited to my cherished morning of contemplation and reflection. I suspect that, over a lifetime, I’ve given up hundreds of thousands of dollars in income, by living “in the boonies.” But as was said to me just this morning, life isn’t about money. It’s about what you learn, and what you are inside. I’ve learned many things. Perhaps the most important is that what I am inside is Soul. All the rest is just accreted layers obscuring my core. My most important skill is that of an archeologist, carefully scooping away mental and emotional grit, to reveal the core gifted to me by my Divine Master. If my breadth of experience and smattering of wide knowledge serves any purpose, it may be that I have thereby acquired a means to connect with diverse people and perhaps assist them with their own excavations. To the extent this is so, I am extremely blessed.